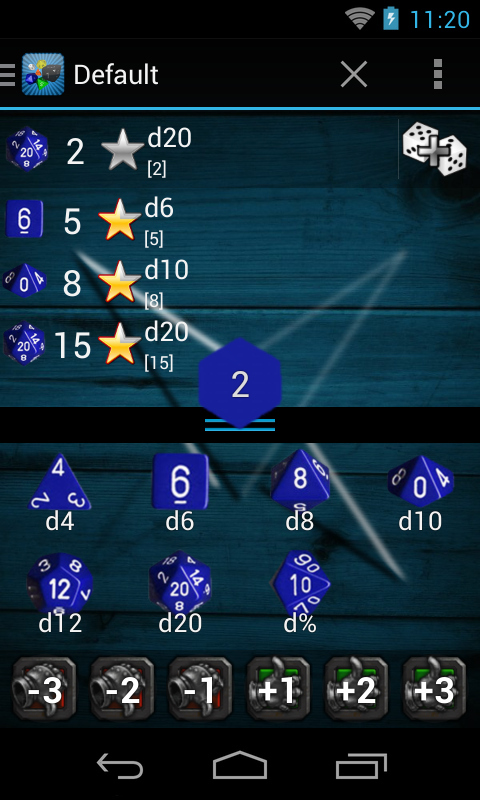 Quick Dice Roller is an app made for the tabletop RPG Geek. 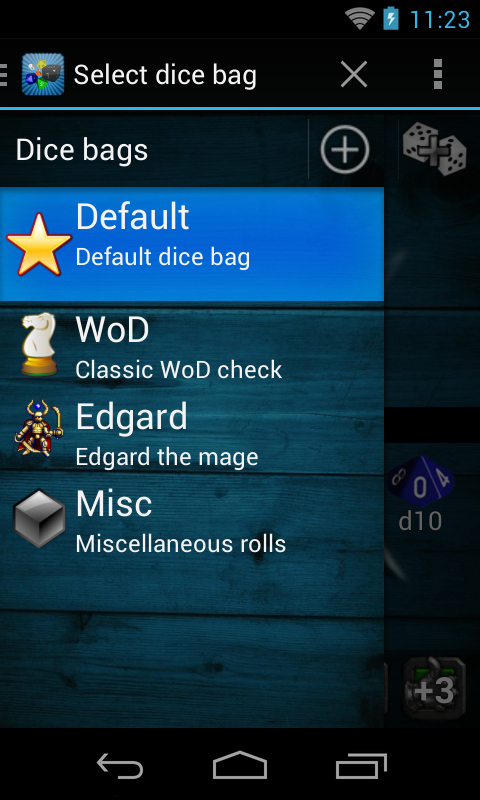 It allows to emulate almost all the complex dice rolls required by RPG and board games. 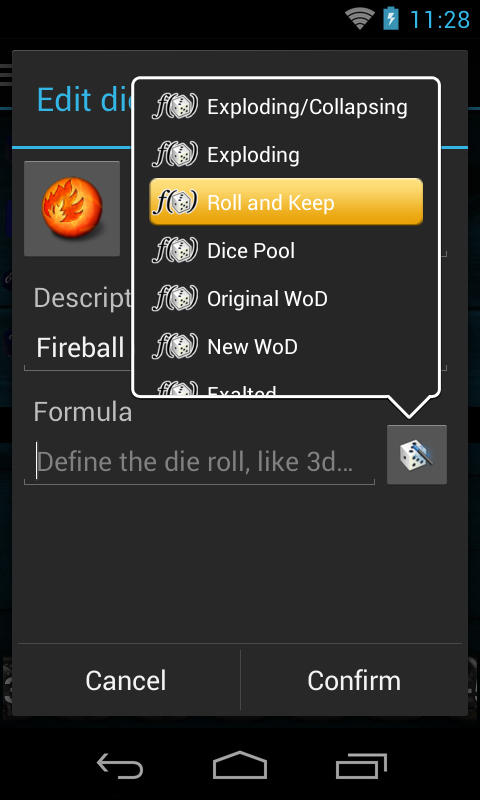 The dice can be added at will and organized in dice bags. Each die is defined by a formula such as 2d6+5 as well as special functions like rak(1d6,4,3) that allow to emulates the most complex game systems. 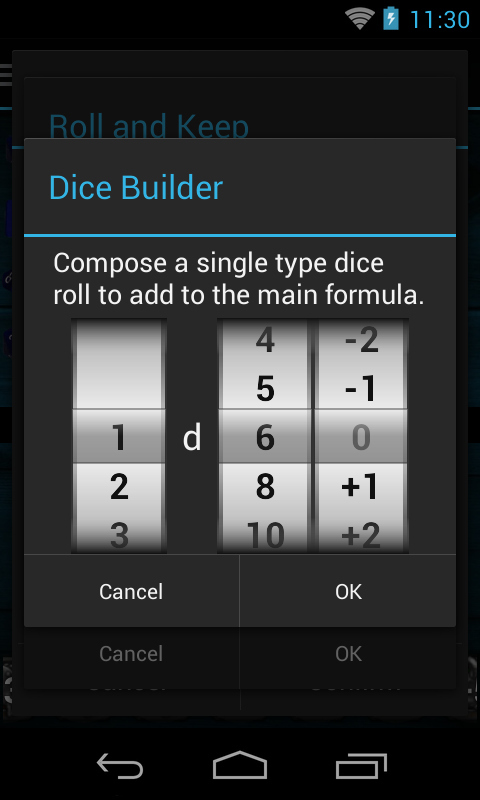 An handy formulas builder simplifies the process, and allow to access to an online help. Check the list of all supported functions here: http://goo.gl/mZkcQS Thanks to "named values", as well as keep track of games scores, you can define formulas using variable parameters. 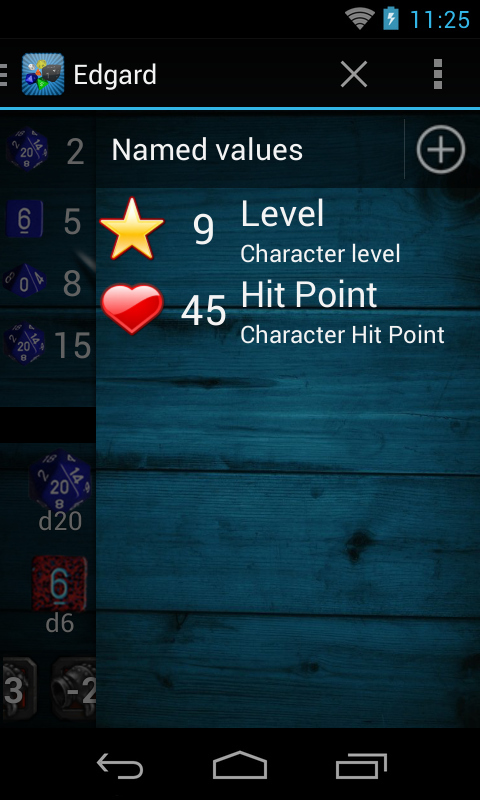 You can create, for example, the named value "Level" with label "lvl", then use the formula (lvl)d6 to determine the fireball damage. 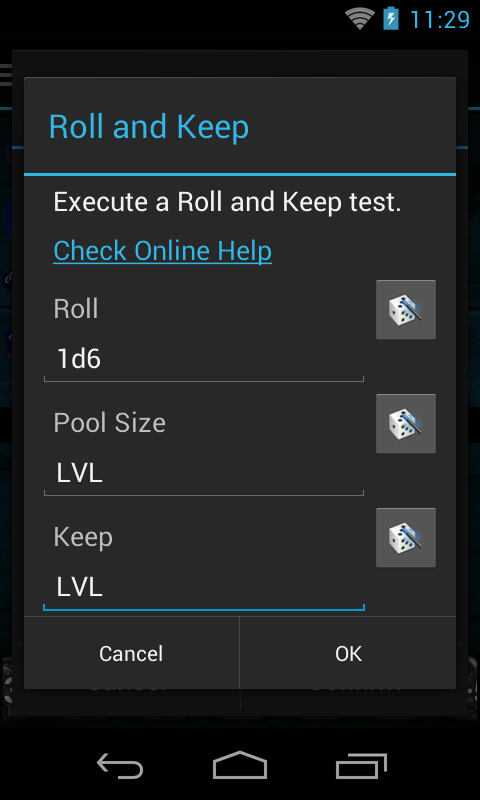 So when your mage level up you don't need to edit the formula: just change the "Level" value!